It’s hard to believe it, but Tim Doyle’s Nakatomi is celebrating its 9th anniversary this month! What’s crazy is The Blot can still remember being introduced to Tim’s art for the first time just a few months later in 2009 when he participated in Gallery 1988’s LOST screen print series. Since then Nakatomi has grown from a small mom and pop website with a tiny print shop in a one car garage, to a company with a full time staff operating out of a warehouse, and clients ranging from Metallica to Marvel comics! Man, has time flown by or what? Congrats Tim and crew on this huge milestone! 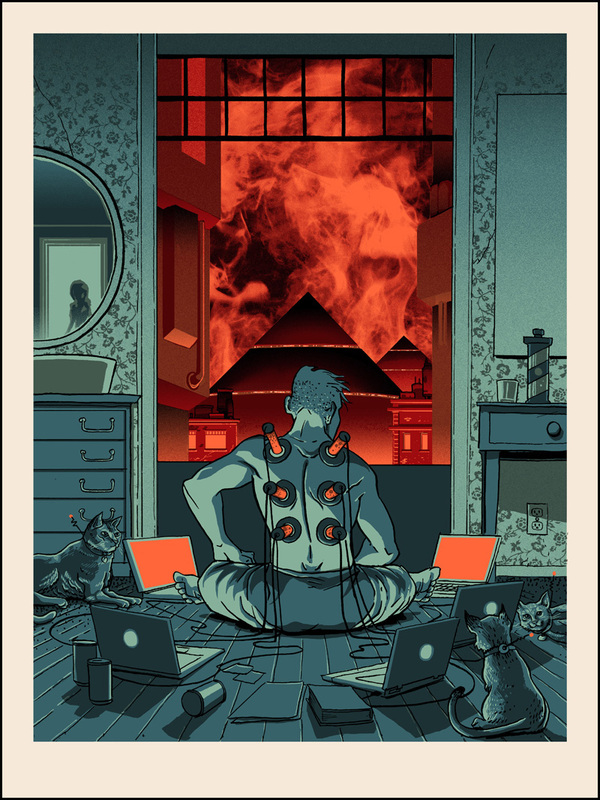 To commemorate the 9th Anniversary of Nakatomi, Doyle has released this killer new art print, “Pyramid”! It is an 18”x24” signed and numbered screen print. This first edition is limited to just 100 pieces and can be purchased now at the Nakatomi online store for just $30.